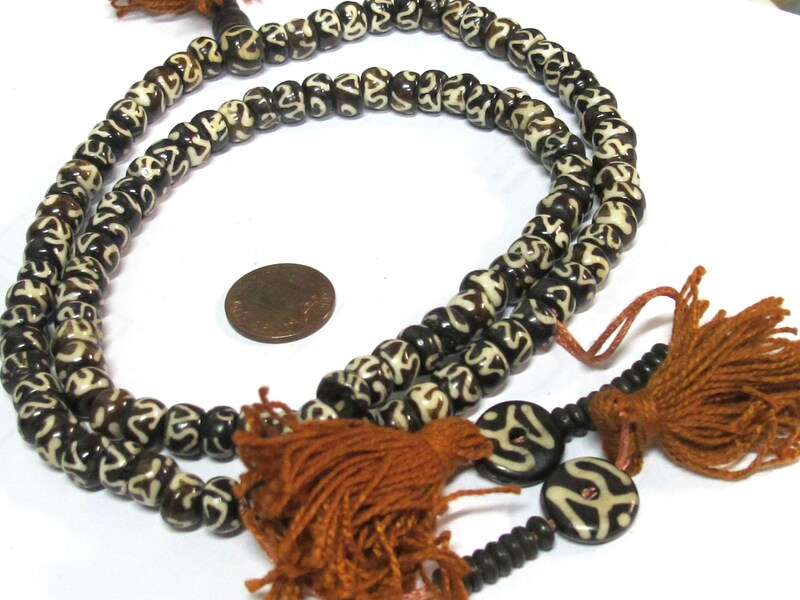 Rondelle bone beads from Nepal with Om etched on each bead. 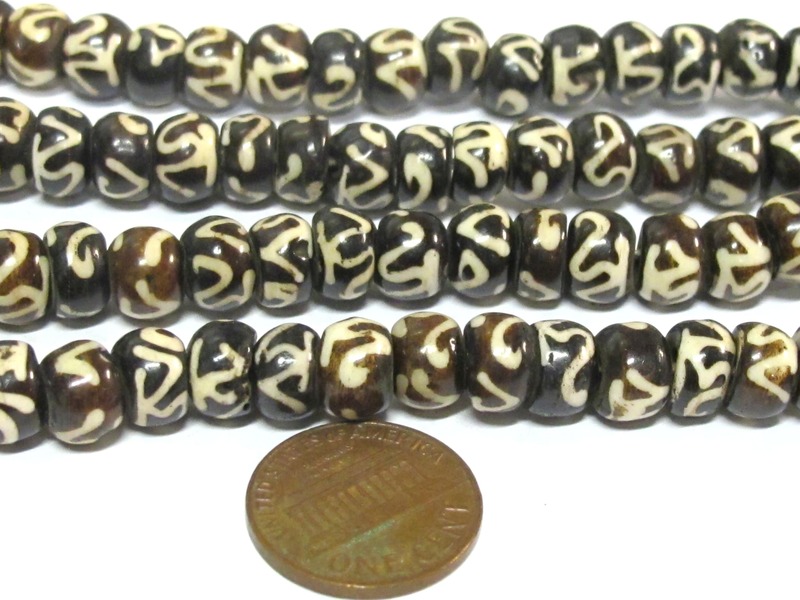 Black brown color. 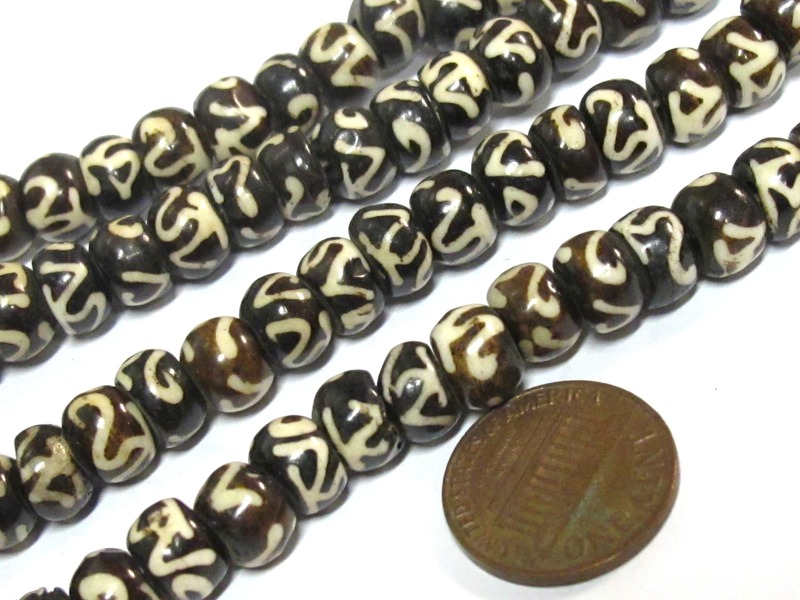 Bead Size average approx 8 mm wide diameter x 5-7 mm (hole to hole) . 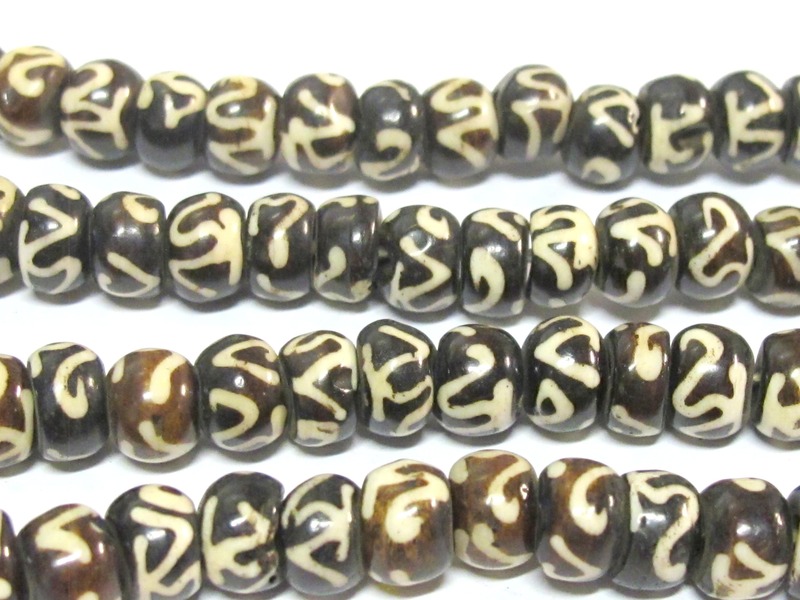 Bead hole size is approx 2 mm - 2.5 mm. 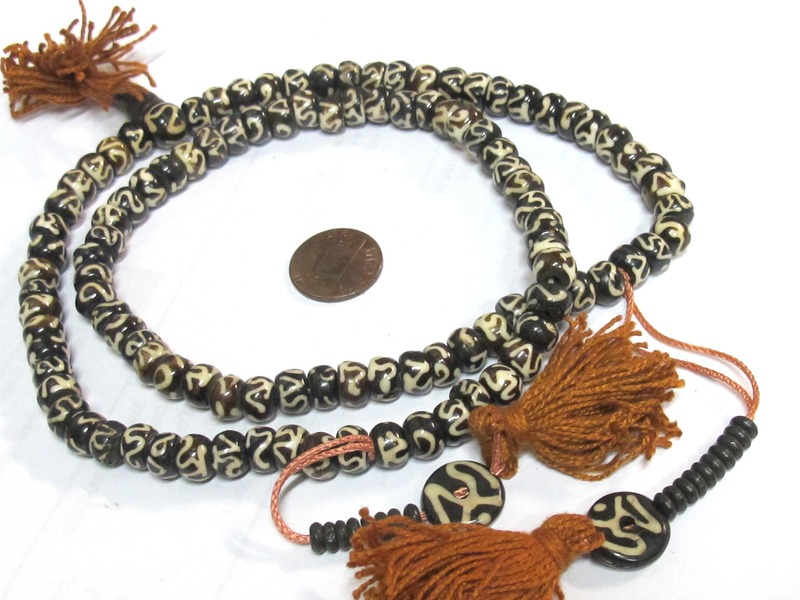 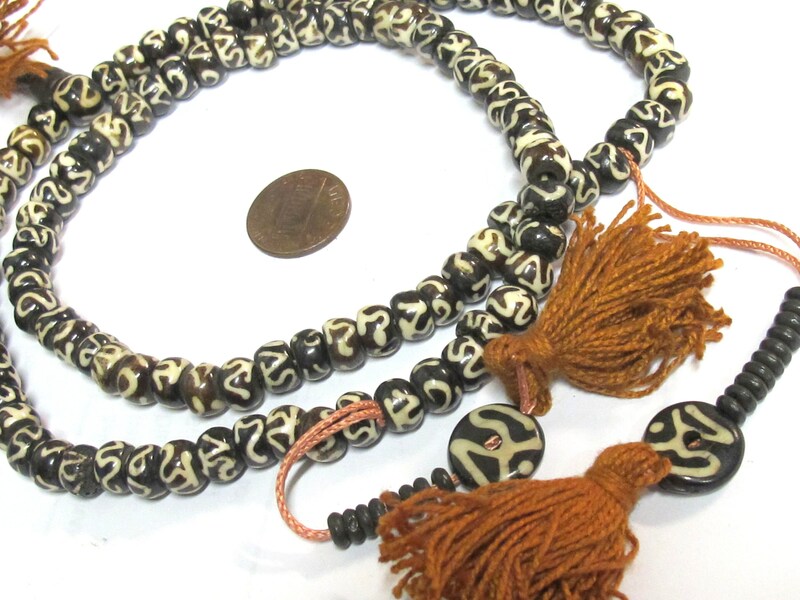 Quantity - 108 mala beads , guru bead , counters.